TB prevention consists of several main parts. Firstly there is a need to stop the transmission of TB from one adult to another. This is done through firstly, identifying people with active TB, and then curing them through the provision of drug treatment. 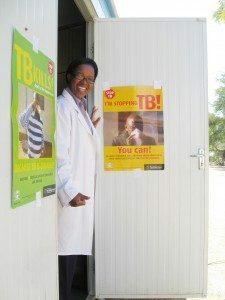 With proper TB treatment someone with TB will very quickly not be infectious and so can no longer spread TB to others. If someone is not on treatment, then precautions such as cough etiquette, must be taken to prevent TB spreading from one adult to another. Anything which increases the number of people infected by each infectious person, such as ineffective treatment because of drug resistant TB, reduces the overall effect of the main TB prevention efforts. The presence of TB and HIV infection together also increases the number of people infected by each infectious person. As a result it is then more likely that globally the number of people developing active TB will increase rather than decrease. There are several other TB prevention activities. This includes preventing people with latent TB from developing active, and infectious, TB disease. 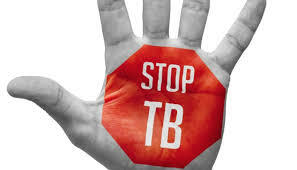 TB infection control which means preventing the transmission of TB in such settings as hospitals & prisons. The pasteurization of milk also helps to prevent humans from getting bovine TB. There is a vaccine for TB, but it makes only a small contribution to TB prevention. It does little to interrupt the transmission of TB among adults. TB is caused when a person breathes in TB bacteria that are in the air. So it is important that people with TB, who are not on effective treatment, do not release TB bacteria into the air when they cough. The vaccine called Bacillus Calmette-Guerin (BCG) was first developed in the 1920s. It is one of the most widely used of all current vaccines, and it reaches more than 80% of all new born children and infants in countries where it is part of the national childhood immunization programme.2Cover your cough, CDC, www.cdc.gov/flu/protect/covercough.htm However, it is also one of the most variable vaccines in routine use. The BCG vaccine has been shown to provide children with excellent protection against the disseminated forms of TB. However protection against pulmonary TB in adults is variable. Since most transmission originates from adult cases of pulmonary TB, the BCG vaccine is generally used to protect children, rather than to interrupt transmission among adults. The BCG vaccine will often result in the person vaccinated having a positive result to a TB skin test. TB education is necessary for people with TB. People with TB need to know how to take their TB drugs properly. They also need to know how to make sure that they do not pass TB on to other people. But TB education is also necessary for the general public. The public needs to know basic information about TB for a number of reasons including reducing the stigma still associated with TB. TB drug treatment for the prevention of TB, also known as chemoprophylaxis, can reduce the risk of a first episode of active TB occurring in people with latent TB. The treatment of latent TB is being used as a tool to try and eliminate TB in the United States. Isoniazid is one of the drugs used to prevent latent TB from progressing to active TB or TB disease. Isoniazid is a cheap drug, but in a similar way to the use of the BCG vaccine, it is mainly used to protect individuals rather than to interrupt transmission between adults. This is because children rarely have infectious TB, and it is hard to administer isoniazid on a large scale to adults who do not have any symptoms. Taking isoniazid daily for six months is difficult in respect of adherence, and as a result many individuals who could benefit from the treatment, stop taking the drug before the end of the six month period. Spend as little time as possible in places where large numbers of people gather together. Educating people about TB is also an important part of TB prevention, as well as ensuring that people who need treatment receive it as soon as possible. It is not fully known how differences between drug susceptible, and drug resistant TB, as well as HIV status, affect the risk of TB transmission. However it is thought that people with drug resistant TB remain infectious for much longer, even if treatment has been started, and this may prolong the risk of transmission in the household. In households with culture positive MDR TB patients, the following guidance should therefore be observed in addition to the measures given above. Children below five years of age should spend as little time as possible in the same living spaces as culture positive MDR TB patients. Face masks are different from respirators and can be made from either cloth or paper. A face mask worn by someone with infectious TB can help to prevent the spread of M. tuberculosis from the patient to other people. The face mask can capture large wet particles near the mouth and nose of the patient, preventing the bacteria from being released into the environment. Cloth masks can be sterilized and reused. If someone has culture positive XDR TB, then they should be isolated at all times, and any person in contact with a culture positive XDR TB patient should wear a particulate respirator. If at all possible, HIV positive family members, or family members with strong clinical evidence of HIV infection, should not share a household with a culture positive XDR TB patient. Before drug treatment for TB became available, removing TB patients from their homes and putting them in isolation in sanatoria, was the main way of reducing the transmission of TB. However this policy changed in the vast majority of countries, after studies showed that if patients stayed at home and were treated on an “outpatient” basis, this did not increase the risk of TB among the household contacts of the people with TB. This is because drug treatment quickly makes a TB patient uninfectious, and most household contacts who do become infected, will have already become infected before the diagnosis of TB has been made. So generally there is now no need for people to leave their homes because they have TB. The only exception to this is, as described above, when someone has infectious XDR TB, and it is not feasible to isolate them at home. Also people may still need to go into a health care facility because there are complications arising from their condition, or their treatment. Within a health care facility there may be a need for some separation of people in order to reduce the chances of transmission. The measures described above also mainly apply to resource poor settings, and the recommendations can be different where more resources are available. Doctors and other health care workers who provide care for patients for TB, must follow infection control procedures to ensure that TB infection is not passed from one person to another. Every country should have infection control guidance which clearly needs to take into account local facilities and resources, as well as the number of people being provided with care. However, infection control guidance must not only be written but also implemented. There is more about TB infection control.